We offer the unique experience of small class size and low teacher to child ratio. This insures a safe, nurturing environment in which our children can feel confident and secure while exploring the world and gaining a love for learning. We believe that play is children’s work. When children play, they are learning about the world that surrounds them. When they run, jump, and climb they are learning about the movement of their bodies and spatial awareness. Children learn social studies and practice abstract thinking while participating in dramatic play. Children develop motor skills and mathematical thinking while they build with blocks and other materials. Social skills develop and foster as they play with their classmates throughout the day. Together, these interactions provide them with the skill set to negotiate and communicate with peers and adults. Our homey indoor space : Our indoor environment is designed to promote exploration and cooperative play. Indoor space contains a plethora of learning centers where children will be encouraged to build, explore, investigate, imagine, and create. Providing children with a calm and home-like atmosphere allows them to thrive academically while feeling safe and supported. 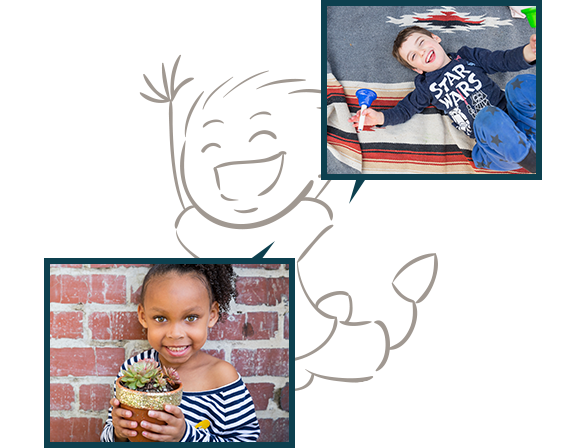 At Treehouse Tots Preschool, we strive to provide a high quality learning environment that meets their development needs while introducing them to a life-long, meaningful relationship with the natural world. We are proud to provide our children with two separate and equally valuable outdoor environments. 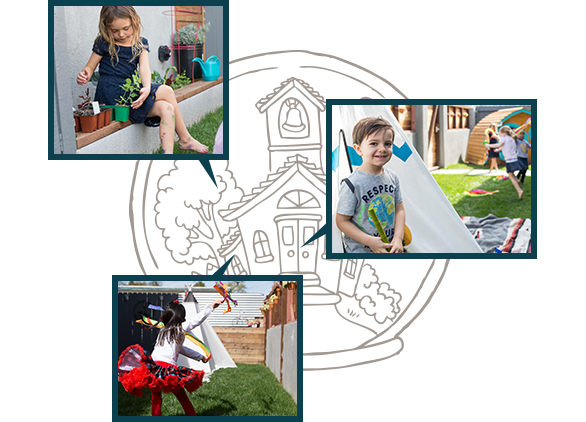 Our nature-based space includes our organic garden, hobbit hole, mudpie kitchen, outdoor art station, fresh open grass for dancing andrunning, balance beam and natural materials for building and exploration. A separate, more traditional play space encourages children to run, jump, swing, climb, dig, and ride bikes. Group games, fun in the sand, and ball play are just a few activities utilized in this space. Both outdoor areas foster social interaction and motor development in a safe and private atmosphere.